Do you choose your Dare or does it choose you? The Dare came more naturally to me than the Truth in the beginning. When I was little and peaking into double digits at 10, 11, 12 years old, the Dare became one of my best friends. The Dare helped me stand out even when I felt shy and self conscious. I was a lanky, pre-tween with buck teeth the size of bugs bunny, short hair that most of the time had people telling my mom what nice young boys she had. They obviously didn’t know our family in our small town of Rome, GA or were from out of town because everyone who knew us, knew my parents had both a GIRL and a boy. I thought I remedied this by getting my ears pierced around 12 and still people would say “look at your two sons”. “Seriously, do you see my ears,” I was thinking. Ok, a little off top as my girls would say (translation: off topic, mom). In my early double digits, we had a group of kids in the neighborhood who hung out together riding bikes, skateboarding, playing kick the can, building forts in the woods, walking to the candy store for dime candy, and getting into trouble. Ok, so not all of us were getting into trouble. Some of us including me. Because I liked the Dare. Taking the Dare made me feel more confident, more badass, more independent. It supercharged me with electricity shooting through my body. One summer day our caravan of friends were walking the neighborhood. Our East Rome neighborhood had tree lined streets, houses with groomed grass front yards, bikes in driveways, moms taking care of the home, dads off at work. It was peaceful, quiet, and everything that didn’t fit in those categories were kept inside each family’s house. No need to dirty up the neighborhood when we could keep it inside. On this sunny summer day, walking barefooted down the street, we were bored. When you’re a bored pre-tween what do you do? You make something fun to do and, it’s even better if it’s feel daring and a little dangerous. Walking up on East 11th street, we passed the telephone pole with the little red house on it. I had noticed it before and wondered about why it looked like that and how does it work. That little red house was a fire alarm. It looked so cute like a bird house. We dared each other to pull it and see what happened. The Dare. There it was. It found me. Right on time. I only needed to think a split second. I walked over to the “bird house alarm” reached for the pull down. Pull. Done. Oh my gosh, that alarm was the loudest thing I had ever heard up close. We ran. My barefooted feet ran as fast as they could down the ginormous hill of East 11th Street hot pavement that I could run. I ran through my friends’ driveways, across the woods, down my driveway, into my front door and right under my parents’ bed. Someone was going to come for me. I had done it now. My heart was racing. My mom raced in to see what I had done. She talks about it to this day, “You were so scared and you wanted your momma after ringing that alarm.” I hid until I couldn’t hear a sound anymore and until my heart calmed. No one ever came to the door. It was our secret. Me, my friends, their parents, my mom, my dad, the neighborhood streets. I could laugh at my victory now that it was over. I was empowered in the lasting wake of the Dare. Ok, yes, I admit it wasn’t the safest Dare. It was reckless of me to ring the alarm. What if I took the fire department men away from a real fire? What if caused someone harm? That’s where the draw the line with your Dare. It’s important to ask yourself: is this going to cause harm to me, to any being, or to any situation? This is crucial when taking Your Dare. I now know the difference and this will be critical for you to know for yourself so you are creating growth and not creating havoc and harm by taking Your Dare. Let’s talk about Your Dare. How do you choose Your Dare? Does it choose you? You may have a feeling inside, your intuition, that’s been telling you to start that new business; write your book; get married; start that fitness or yoga class; AND you’ve been listening but you put it on the back burner. You know Your Dare. What is that next step for you to bring into your life? If there are several steps involved in this process, what would it look like to take 1 toward what you’re creating? Taking Your Dare will build courage, resilience, commitment, AND have you ever noticed that the universe always responds by opening up more when you take a step forward. Something changes within you creating a new awareness of what is and what’s possible. Then your outer world shifts in response. It’s that thing where you feel the “AWE” moment and feel the heavens open just for you and sing a chorus just for you. There is Your Dare finding you. Now, let’s explore you finding Your Dare. Maybe you’re feeling restless or even too comfortable where you are in your life, you’re feeling itchy to make a change and you’re not sure what that change is yet but you feel it coming. It’s a little scary and exciting at the same time. You know that it’s going to take being and doing something different to take you to this different upleveled place in your life you’re headed. You’re moving to an edge and you’re ready to dive into something new. You could consult your “Dare Menu”. What is a “Dare Menu”? Your “Dare Menu” is a list of small, medium, and big dares that you have jotted down in your journaling. Each category has 1-5 options within each. Small are ones that you could do right away, even some of them now after reading this blog, that will push you a bit in your life to put yourself on edge with something new, something daring. It will challenge you to grow, to dig deep on those courage reserves and go for it. The medium are a step further in their intensity and level of personal confrontation. You’re confronting an action or way of being that is not in your normal routine. It requires you to step outside the daily norm and be and do something to start a fire inside you and ignite something in your life. The big dare category is the mack daddy. These are dares that may need a little pre-planning (but not so much that you keep putting them off/avoiding). The big dares completely push you out of your comfort zone. With this said, the small, medium, big dares are relative to you. You can’t compare your “Dare Menu” to anyone else’s because we each have our own red buttons to push and grow from. You could get ideas from others’ Dare Menus for sure which could be a completely enthralling conversation at your next dinner party. Yes, I love that idea! What do you think? Even that could be daring and totally out of character for you to bring that up or even plan it as a dinner party activity. Then each person can pick from their menu and commit to taking one of their dares by a certain date, email or post a pic or video and tag those from the party. Serious accountability, fun, and growth. Time to make your “Dare Menu” whether it be a solo journey or you plan on the dinner soiree, make it an event that’s worth living. You have the honor of creating a masterpiece as you’re the artist of you life. How you live, what you choose, your Truth &amp; Dare matter to you and all those around you. Your inner journey of becoming you is a key to living your greatest life in the world. It’s time to live your Truth &amp; Dare and go for it. Know. Feel. Be. Do. You’ve got this beautiful friend, step out to the edge and take your Dare. You’ve got your cape and it’s time to fly. 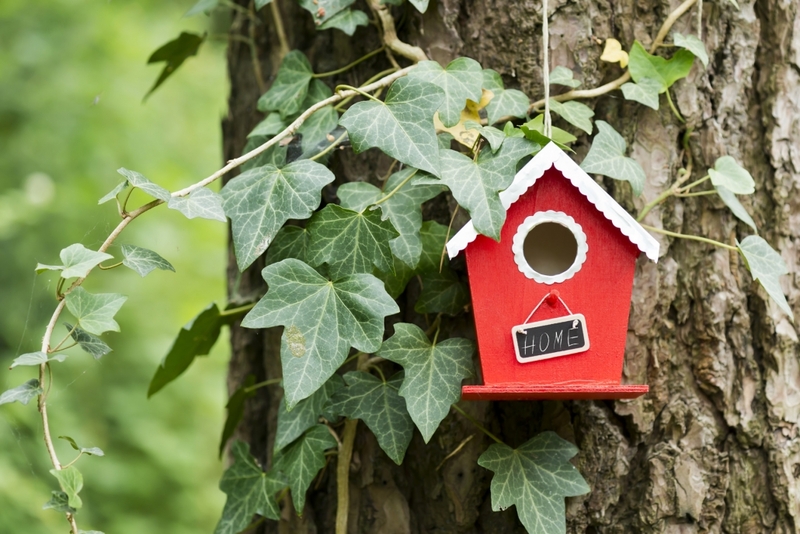 https://camdenhoch.com/wp-content/uploads/2018/10/red-bird-house.jpg 1201 1800 Camden Hoch /wp-content/themes/camden_hoch/img/ch_logo_magenta.png Camden Hoch2018-10-30 02:34:062018-10-30 03:18:23Do you choose your Dare or does it choose you?